The Mission of Beth Rivkah is to provide and promote the highest quality Judaic and general education to Jewish girls. Our aim is to inspire and empower students to reach personal excellence, and to be responsible members of American society. Within a warm nurturing environment we, cultivate within students a love for learning, guide them in developing academic and social skills, and foster responsibility in each individual child. The breadth and depth of a Beis Rivkah education nurtures within students a commitment to community, to life-long learning and teaching, and to using Torah and Chassidic values as a guide in making life's decisions. 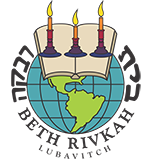 The Associated Beth Rivkah Schools were founded on the principles of Chabad philosophy. Chabad teachings integrate the love of G‑d, commitment to intellectual knowledge and understanding of the Torah, and a love of one's fellow Jew that encompasses appreciation for the uniqueness of every individual member of the community. Our administration and staff implement this philosophy in all areas of Judaic and general studies while fostering a supportive environment for all our students. A Chassidic education stresses holistic growth, understanding and utilizing the links between the academic, spiritual, moral and social/emotional domains. Rigorous academics are pursued with the recognition that our students possess a variety of learning styles and abilities. Students are taught to apply academic lessons gleaned in the classroom to their daily lives. Respect for each individual's unique identity and talents is central to staff-student interactions, and forms the basis for enhancing our students' sense of self. Ethics and moral values are explicitly taught, modeled, and practiced throughout the day to day life of the school. Our teachers help our students realize that the Jewish and secular worlds are interconnected, and that it is neither possible nor desirable to isolate ourselves 100%. At the same time, we strive to instill in each student the ability and the desire to set the tone of their own life based on Chassidus. Faculty strive to inspire and motivate each child to enjoy learning and to accept challenges while stimulating critical thought processes. They also promote the students' sense of responsibility for self and others by active community involvement. Students are encouraged to analyze their learning experiences in order to assess personal strengths and areas for improvement. By empowering the head, heart and soul, our education provides our students with knowledge, skills and attitudes necessary to succeed personally, professionally, and in every other sphere of their lives.